In the year 1851 when the schooner “America” won the renowned cup in an invitation race around the Isle of Wight an unrelated event took place in Auckland, New Zealand. 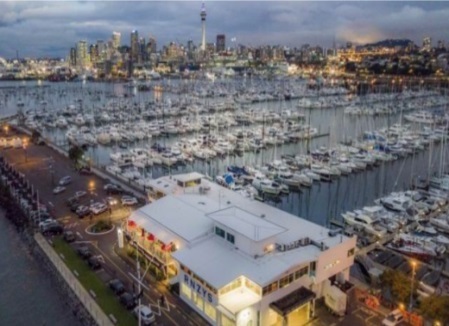 A small group of yachtsmen were striving valiantly to keep a yacht club afloat, as recorded in a notice of a special meeting that appeared in the Auckland Southern Cross Journal. Over the following years, several yacht clubs were formed under the name of the Auckland Yacht Club which seem to have faded and restarted. Sadly early club records, minutes etc. were destroyed in two fires and we must rely on old newspaper reports for our history. The first meeting places were the Thames and Waitemata Hotels on the corner of Customs and Queen Street and the first Club Headquarters was not established until 1898/1900 when rooms were rented in the Palmerston Buildings. As the colony of New Zealand developed, so did the Auckland Yacht Club. In 1887 it absorbed members of the Hauraki Yacht Club and later changed its name to New Zealand Yacht Squadron in 1901 and to the Royal New Zealand Yacht Squadron in 1902 when a royal warrant was granted, His Royal Highness, Prince Philip. Duke of Edinburgh, is the patron. 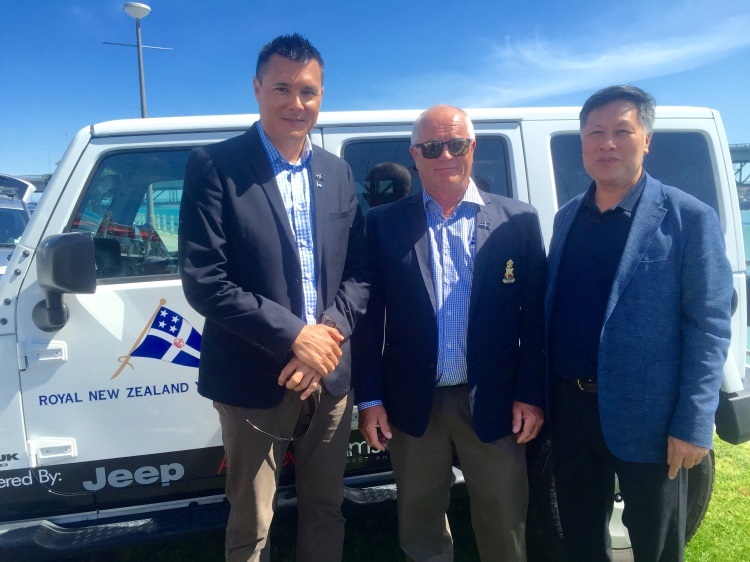 The Royal New Zealand Yacht Squadron is New Zealand’s senior yacht club. Its enormous reputation on the international yachting scene ensures that the Squadron occupies a position of high prestige, nationally and internationally. On the walls of the Main Hall are half models of some of the most distinguished yachts in New Zealand history. Rainbow, KZ 7, NZL 20, Steinlager 2, Fisher & Paykel , New Zealand Endeavour, Ceramco, Infidel, Shockwave, NZL 32, all of which have flown the Squadron’s burgee at the highest level of International competiton. 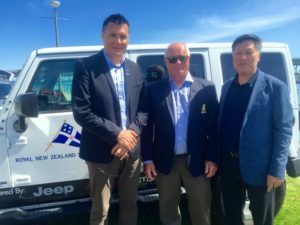 The Squadron’s trophy cabinets carry evidence of member’s skill and prowess in major regatta both in New Zealand and overseas as evidenced by the list of successes quoted. The Whitbread Trophy, the Admiral’s Cup, the Kenwood Cup, the Half; One and Two Ton Cups, the Sydney to Hobart Race, the Champagne Mumm World Cup – have all been won by Squadron representatives. 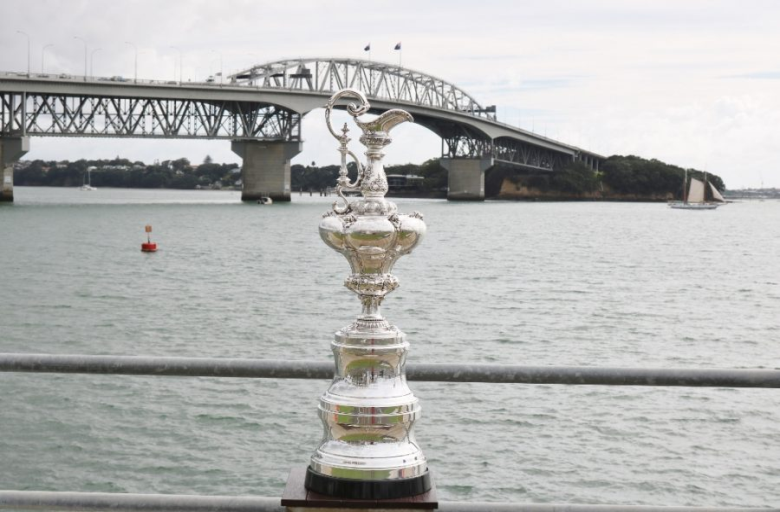 We have been very proud to add the Louis Vuitton Trophy, the Thomas Lipton Cup, the Pell Cup (from Ida Lewis Yacht Club, Newport RI) and the America’s Cup to our collection, thanks to Team New Zealand’s success in San Diego in 1995, Auckland in March 2000 and Bermuda in June 2017. In 2007 Emirates Team New Zealand was once again successful in winning the Louis Vuitton Trophy from a field of eleven challengers in Valencia. In 2009 they won the inaugural Louis Vuitton Pacific Series, beating Alinghi 3 – 1 from a field of nine challengers. A year later Emirates Team New Zealand repeated their success of the previous year beating the Synergy Russian Sailing Team in the 2010 Louis Vuitton Series finals.